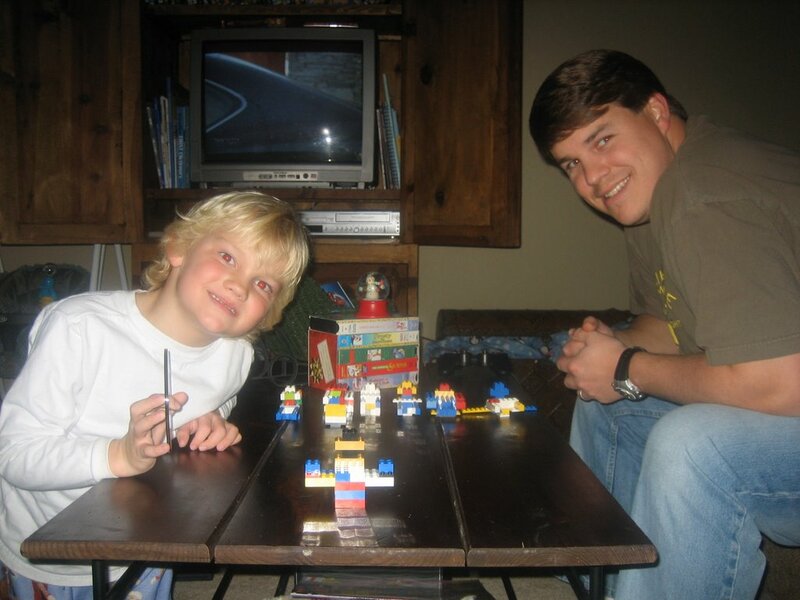 Carter is the unofficial and self-titled Lego King. He is really into them now, which I personally love because it's a creative way to play instead of the mindless Power Rangers he's favored so much over the past few years. You wouldn't believe the things he can create. 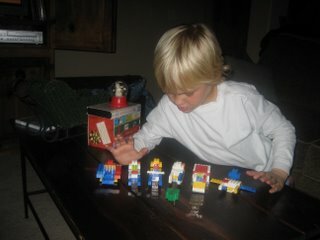 Here he is with his latest collection...which will be destroyed and rebuilt in no time at all. Dad sat in for a game after the components were built.